Let Karoo Taxidermy arrange your shipping for you – The Logic will Amaze You! Your mounted hunting trophies will be expertly packed in a wooden crate, custom made for your consignment, by our on-site packing team. The trophies will be attached to the walls of the crate by means of a number of drywall screws. In order to save on the volume of your crate (because we are mindful of your economics), most of the larger species' horns will be made detachable. 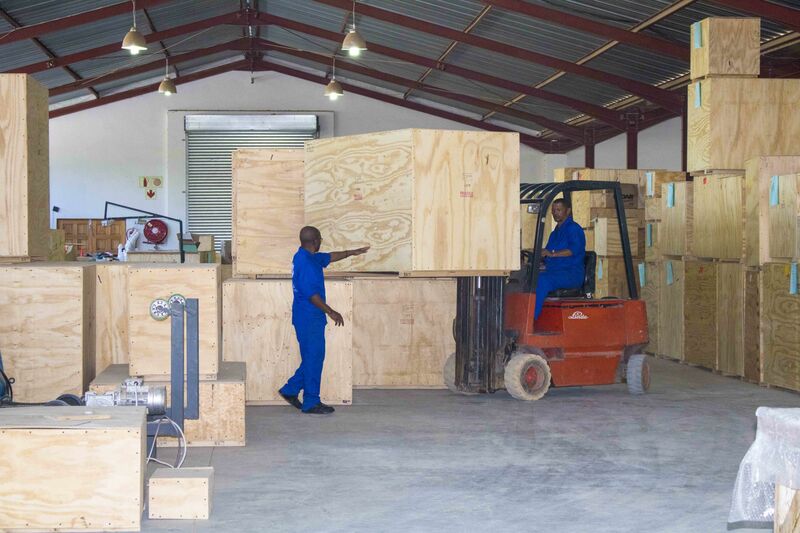 In the shipping business size does matter and you will be charged according to the volume of your crate. With the horns detached, you will save up to 40% on shipping costs. The inside of your horns are moulded to the outside of the horn inner cores on the skull, which facilitates easy re-attachment and no adhesives will be necessary. Karoo Taxidermy has a dedicated team that focusses on the execution of all export documentation applications on your behalf. Permits are applied for in good time before shipping to avoid any unnessesary delays. 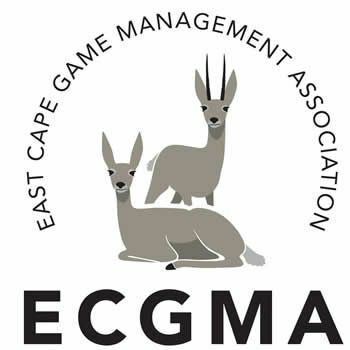 Processing of applications for export permit can only be done once all relevant hunting documentation and permits required has been received from the Hunting Outfitter. Please note CITES Export Permits are only valid for 6 months and have to be valid when the trophies arrive at the final destination. Non-CITES Export Permits are normally valid for between 6 and 12 months, depending on the province you hunted in. All CITES I animals will need to have a CITES Import permit in place before we can apply for a CITES Export Permit. This also applies to Bontebok as well as certain Elephant curios if shipped to the United States. A copy of the CITES Import Permit should be e-mailed or faxed to Karoo Taxidermy as soon as it is available. Although you may apply for your own CITES Import Permits, it is advisable to contact your customs clearing agent to assist you in this regard. Please note CITES Import Permits are only valid for 12 months and have to be valid when the trophies arrive at the final destination. Veterinary inspections are done on site by our local State Veterinarian affiliated to the Ministry of Agriculture. After inspection a Health Certificate is issued by the Ministry. This certificate forms part of the Export Documentation. Karoo Taxidermy will arrange all your shipping requirements. We have longstanding relationships with all the major shipping companies and clearing agents that specialise in the transportation, distribution and clearing of hunting trophies internationally. Fundamentally the system works as follows: the shipping company collects the trophies from Karoo Taxidermy. They take them through customs in South Africa, book them on an air or sea liner to the client's closest Port of Entry and they make sure the trophies get to the relevant port of entry. The clearing agent will now take over at the Port of Entry and receive the trophies, take them though the relevant authorities (normally the following government departments get involved: customs, conservation, and agriculture) and arrange, if required, for the delivery of the trophies to your final destination. 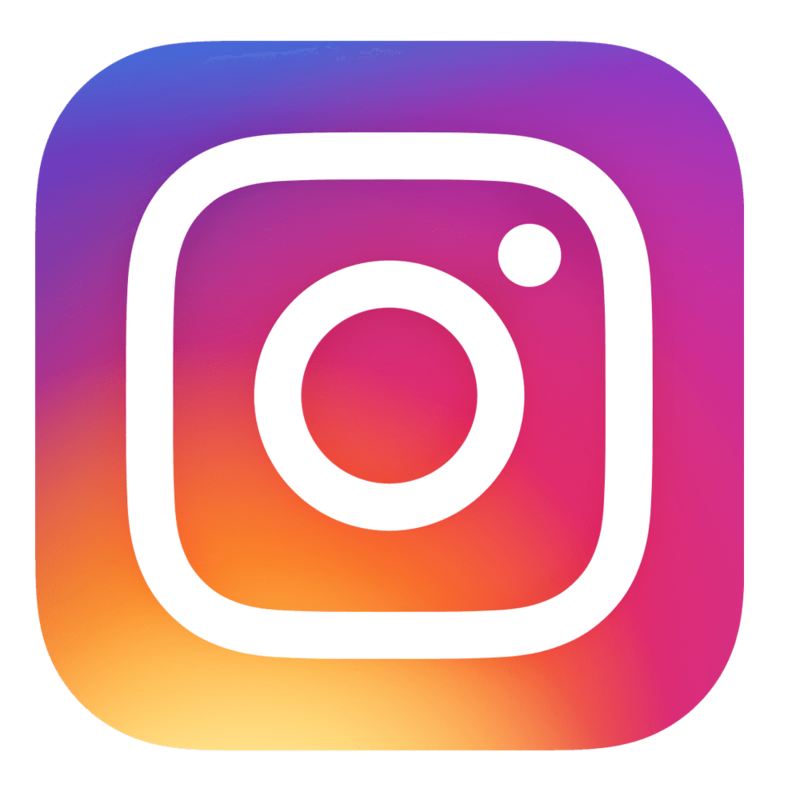 Please feel free to contact us to verify your closest Port of Entry and if ocean freight is a viable option to ship your trophies. Karoo Taxidermy has longstanding relationships with dedicated customs clearing agents world wide, specialising in the clearing of hunting trophies, to assist you to clear your hunting trophies in your home country. If you prefer to consign your hunting trophies to your own clearing agent with whom you have a working relationship, please feel free to advise us accordingly. If not specifically included in your shipping quote, clearing fees and delivery charges are payable directly to the clearing agent. 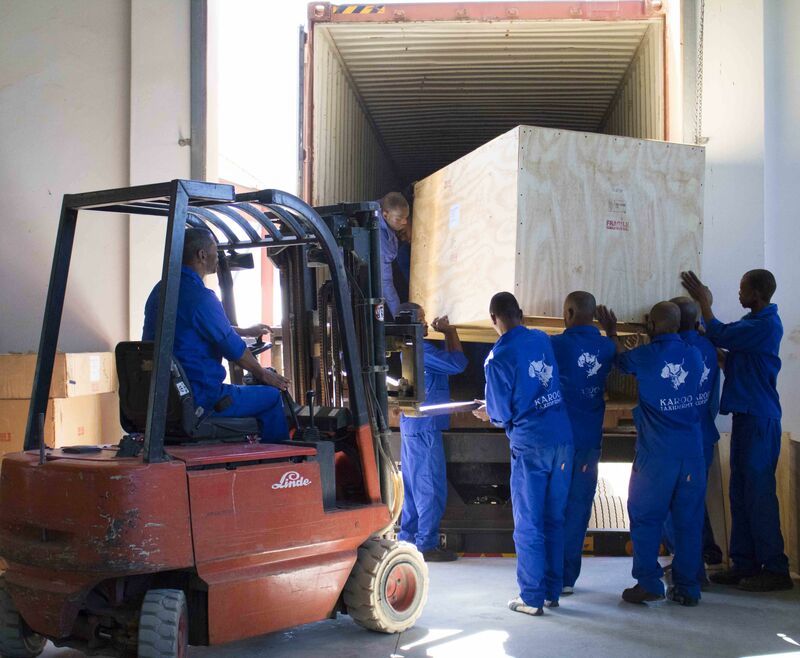 A crate consisting out of a: Kudu, Blesbuck, Bushbuck, Impala, & Warthog – all Shoulder Mounts. 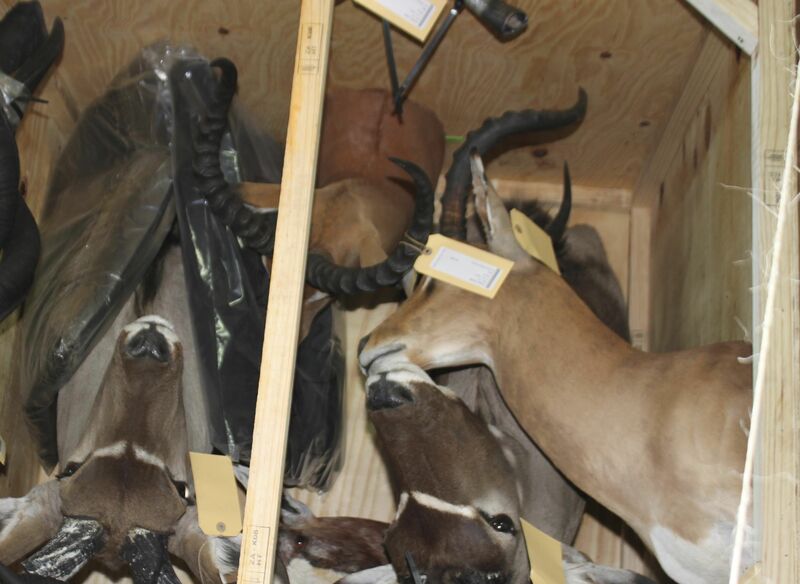 A crate consisting out of a: Kudu (or Gemsbuck), Black Wildebeest, Blesbuck, Impala, Springbuck, White Springbuck & Black Springbuck – all Shoulder Mounts. These shipping estimations excludes any charges at the destination.